Search for all "CD309 / VEGFR-2 / Flk-1"
Mouse anti Human CD309 / VEGFR-2 / Flk-1 4 (20I6). Product is tested for Frozen Sections, Enzyme Immunoassay, Immunocytochemistry/Immunofluorescence, Western blot / Immunoblot, Flow Cytometry. Immunohistochemistry on Frozen Sections: 6-30 μg/ml. 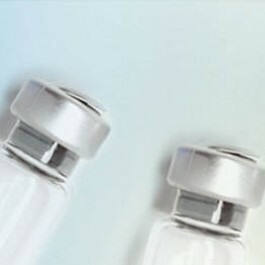 FACS analysis and cell sorting: 2-10 μg/ml. VEGF receptor 2 is a member of a receptor tyrosine kinase family whose activation plays an essential role in a large number of biological processes such as embryonic development, wound healing, cell proliferation, migration and differentiation. Like other growth factor receptors, upon ligand binding VEGF receptor 2 dimerises and is autophosphorylated on multiple tyrosine residues. These sites can be involved in the regulation of kinase activity or serve as binding sites for SH2 and phosphotyrosine binding containing signalling proteins. Phosphorylation of Tyrosines 1054 and 1059 in the activation loop is required for activation of VEGF receptor 2 and its intrinsic tyrosine kinase activity. In case of HIV-1 infection, the interaction with extracellular viral Tat protein seems to enhance angiogenesis in Kaposi's sarcoma lesions. Shibata et al, BMC Medicine 8 (2010). Albaquerque et al, Nature Med 2009). Ebos et al, Mol Cancer Res 2 (2004). Ebos et al, Cancer res 68 (2008). The Unconjugated Monoclonal antibody will detect native Human VEGFR-2/KDR in ELISA experiments and on the surface of different Human cell types.